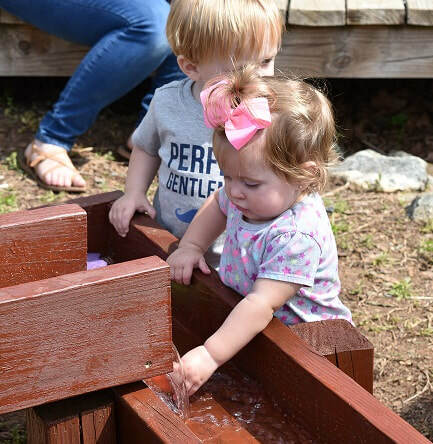 The Outdoor Learning Environment (OLE) program will provide a venue for training and give families and young children (ages birth to five) a high quality outdoor learning environment to learn and play in nature. Partnership staff will provide the training throughout the year to anyone interested. *OLE Playgroups are currently on hold. We will post when they are back up and running. Thank you. http://naturalearning.org/greendesk - Resources for implementing natural settings from the Natural Learning Initiative at NC State. This website contains ideas for childcare providers and families who are interested in outdoor learning, projects, and articles, regarding naturalized play spaces. http://beactivekids.org/bak/Front/Resources.aspx - Be Active Kids is a physical activity curriculum for childcare centers. This website has resources for ways to encourage physical activity with everyday items: beach balls, books, sticks, mud, etc. These resources are ideal for families and teachers looking to add variety to their play.